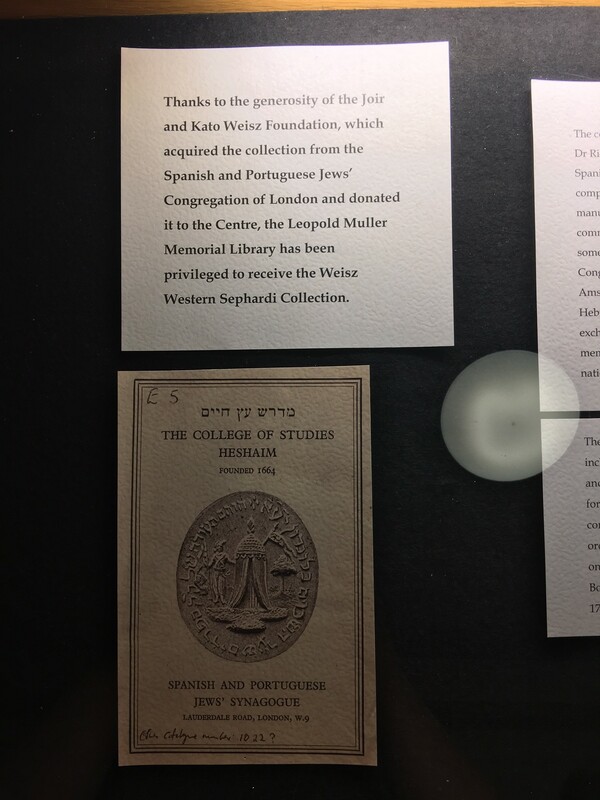 Thanks to the generosity of the Joir and Kato Weisz Foundation, which acquired the collection from the Spanish and Portuguese Jews’ Congregation of London and donated it to the Centre, the Leopold Muller Memorial Library has been privileged to receive the Weisz Western Sephardi Collection. The collection was assembled mainly by the late Dr Richard Barnett, the Honorary Archivist of the Spanish and Portuguese Jews’ Congregation. It comprises over 500 items, including books, manuscripts, sermons, rabbinic responsa and commentaries, as well as letters by Sephardi Jews, some of them rabbis or members of the Congregation or of the mother congregation in Amsterdam; there are also works by Christian Hebraists which witness to the continued exchange of opinions and knowledge between the members of Jewish communities and their host nations. There are many examples of printed ephemera, including notably prayers for special occasions and calendars, and also printed and other material for the internal use of the communities, such as community and philanthropic societies’ byelaws, ordinances and lists of members. 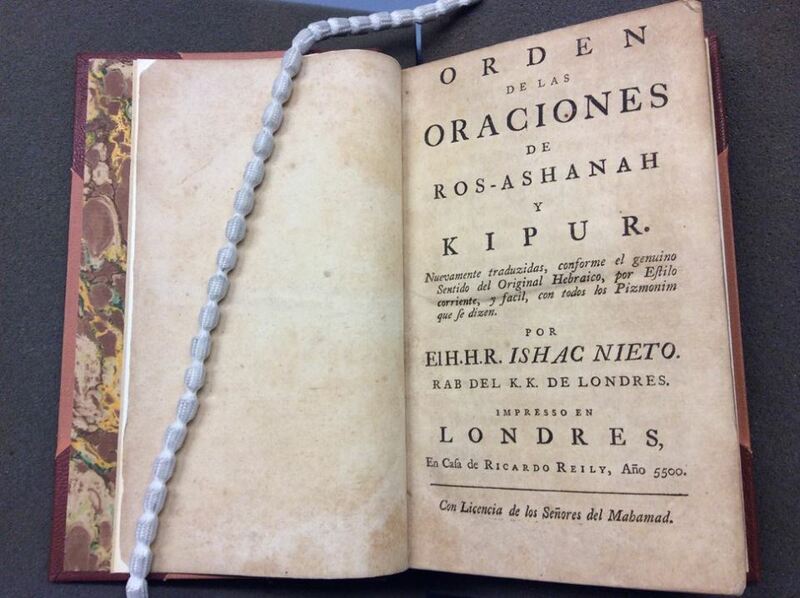 Notable is the only known copy of the first edition of the Prayer Book for Sephardi usage printed in England, in 1721. There is a rich trove of works in Spanish and Portuguese, including both translations from the Hebrew and original works, all aimed at making it possible for newly arrived Crypto-Jews, also known as marranos, to acquire a functioning knowledge of Judaism. The works encompass Bible, prayer books, apologetic treatises and practical manuals of kashrut and purity; in short, manuals for people who had all but forgotten everything about Judaism but who knew that their families had once been Jewish. Most of the printed material comes from Amsterdam and some is from London. There are also works printed in Alexandria, Algiers, Altona-Hamburg, Barbados, Basel, Bordeaux, Corfu, Curaçao, Florence, Gibraltar, The Hague, Livorno, Madrid, Naples, Oporto, Paris, Nice, Utrecht, Verona and Venice – a true atlas of the Sephardi Diaspora. 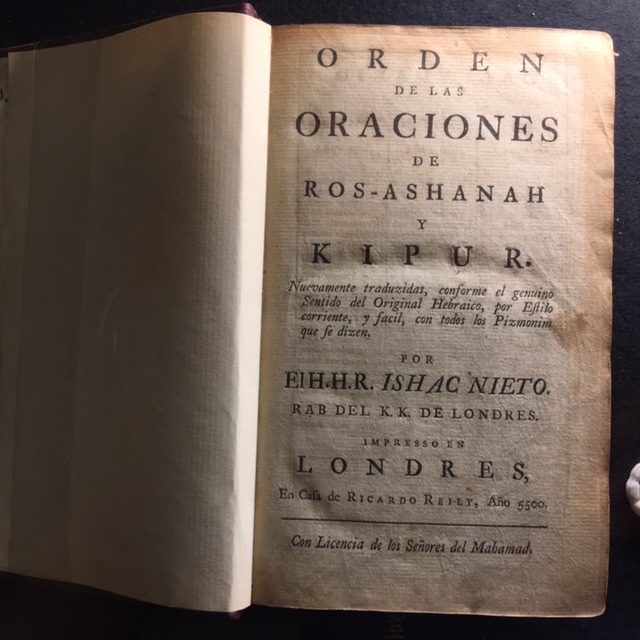 Orden de las oraciones de Ros-Ashanah y Kipur. Nuevamente traduzidas [..] por Ishac Nieto. London: Richard Reilly, 5500 [1739-40]. Isaac Nieto (1687-1773),Ḥaḥam David Nieto’s son, was ḥaḥam from 1732 until 1741, and subsequently became a public notary. The translation is notable for its style. Also interesting is the fact that after several generations out of the Iberian Peninsula, Sephardi writers still cleaved to the Spanish language for compositions of this kind. Bythner, Victor. לשון למודים (Leshon limudim) Lingua eruditorum. Oxford: William Turner, 1638. Bythner, a Polish-born scholar, taught Hebrew in Oxford and Cambridge. According to Anthony à Wood, he was ‘blessed with a most admirable geny for the obtaining of the tongues’. It is no coincidence that his popular book on Hebrew grammar (it was reprinted and adapted as late as 1853) was part of the collection of the Spanish and Portuguese Synagogue’s Talmud Torah, also called Ets ḥayim. The tradition of studying Hebrew grammar, together with the more traditional subjects of a yeshivah, had already been established by the mother community in Amsterdam. סדר התפלות Seder ha-Tefilot. The Liturgy according to the Spanish and Portuguese Jews. London: Alex. Alexander, 5533 [1782-83]. The prayer-book was first translated into English in 1738 by Gamaliel ben Pedahzur (Abraham Mears). This translation, is the work of Alexander ben Judah, and is unusual in being one of the first bilingual editions. López Laguna, Daniel Israel. Espejo fiel de vidas que contiene los Psalmos de David en verso. London, 1720. 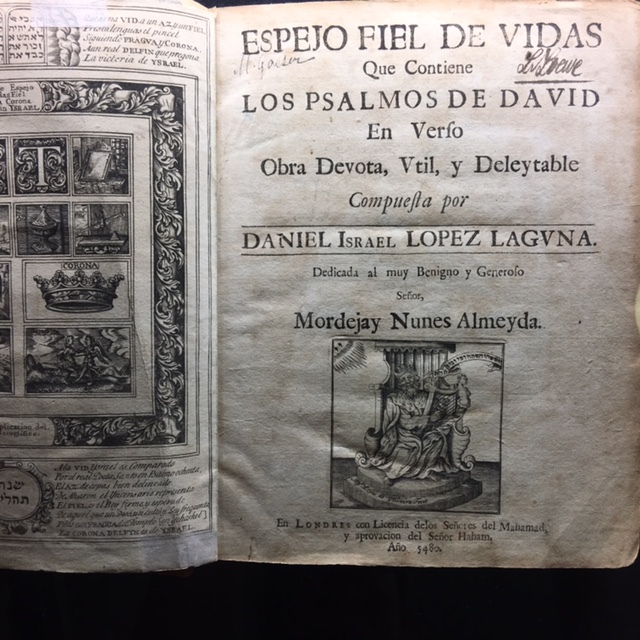 This work, entitled True Mirror of Lives, is a paraphrase of the Psalms in Spanish, initiated while its autor was imprisoned by the Inquisition. López Laguna (ca. 1653-ca. 1730), born in Portugal, raised in Southwest France and imprisoned by the Inquisition while a student in Spain, later moved to Jamaica, where he became naturalised and openly professed Judaism. He travelled to London in 1720, where this work was published under the patronage of Mordecai Núñez de Almeida. His life exemplifies the transnational nature of the Sephardi experience. The book contains dedicatory poems ingeniously crafted in Spanish, English, Hebrew, Latin and Portuguese, at least three of them authored by women. 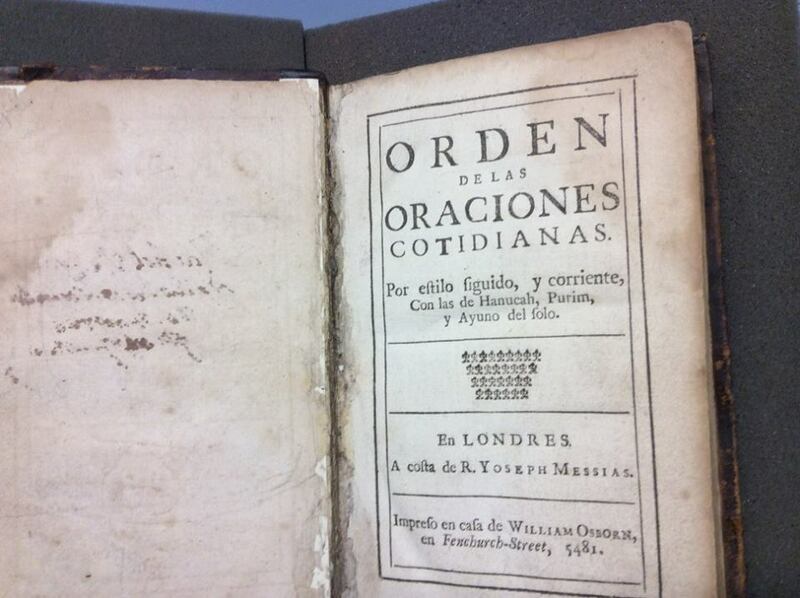 Orden de las oraciones cotidianas. London: William Osborn, 5481 [1720-21]. 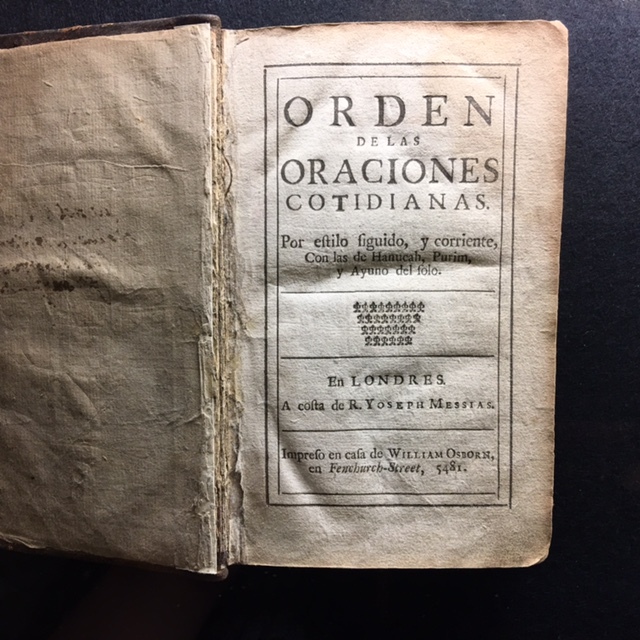 This translation of the prayer-book into Spanish was popular among Sephardi Jews, many of whom had returned to Judaism after growing up as Crypto-Jews in the Spanish territories. What makes this siddur special is that it is the first Jewish prayer-book printed in England. It was published in London at the expense of Joseph Messias. Nieto, David. מטה דן וכוזרי חלק שני [Mateh Dan ṿe-Kuzari ḥeleḳ sheni] . London: Thomas Iliffe, 5474 [1713-14]. Nieto (1654-1728), born in Venice, was ḥaḥam of the Spanish and Portuguese Synagogue between 1701 and 1728. His Mateh Dan or [rather than ‘and’] the second Kuzari, alluding to the title of Judah Halevi’s famous medieval treatise, was an apology of the Oral Law, and a defence of rabbinic Judaism against those crypto-Jews that attacked it. Ḥaḥam Nieto was the most distinguished thinker in the Anglo-Jewish world in the first half of the 18th century. The Centre is grateful to the Weisz Foundation for the donation, to Mr Edgar Samuel for initiating the transfer of the collection and to Dr Jeremy Schonfield for facilitating the process. 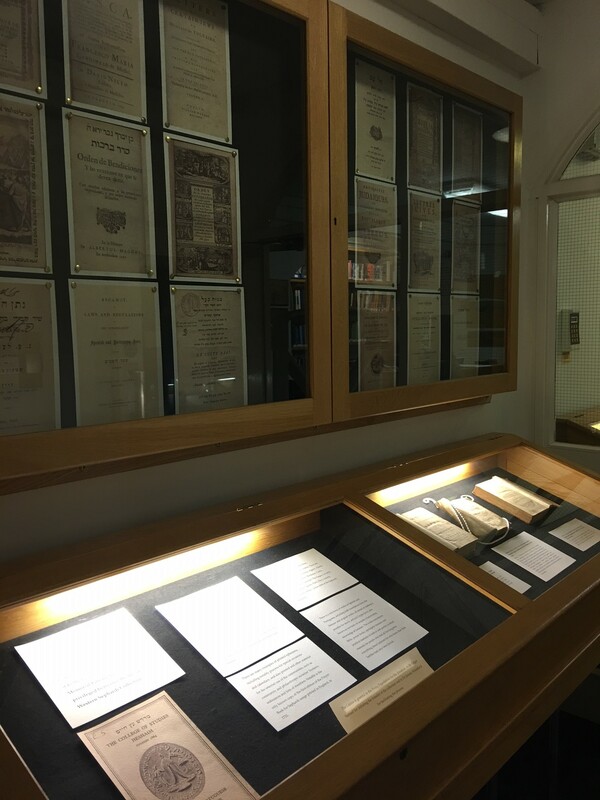 This entry was posted in Acquisitions, Book Displays, Exhibitions, Hebrew printing, Jewish Liturgy, Weisz Western Sephardi Collection on 15 November 2016 by zeidlerm. Jewish liturgy is a rather neglected area of study, and even more so the translations of the liturgy. However prayer books can tell us much about the spiritual and devotional life of a community. 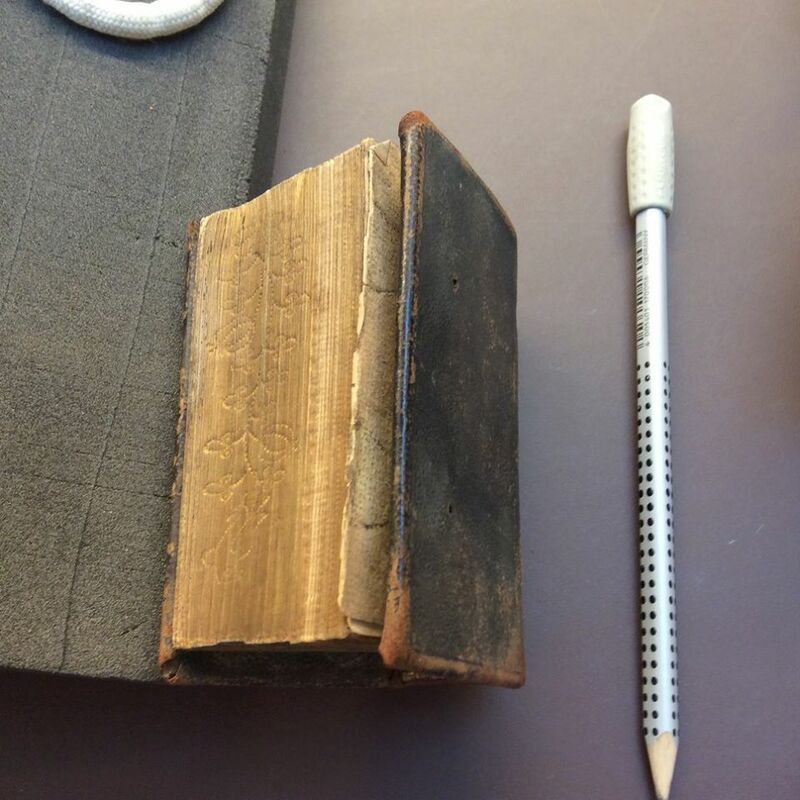 Not only the prayers themselves and the various ways in which they are presented on the page, but the very bindings say much about how such devotional literature was used in daily life. 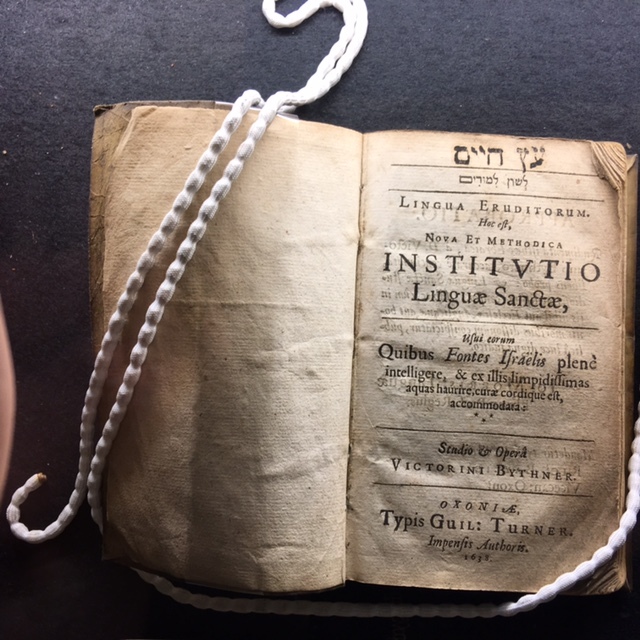 The successive editions of the ‘Ladino’ translation of the Prayer Books (Siddur and Mahzor) used by the Western Spanish and Portuguese Jews from the mid 16th to late 18th century are particularly well represented in the Bodleian collections. This Sephardic liturgy was first translated and printed in Ferrara in 1552, only sixty years after the expulsion from Spain. Printed on the same presses as the famous Ferrara Bible by Yomtob Atias and Abraham Usque it was meant for the use of ‘Marranos’ who had escaped the peninsula after the establishment of the Portuguese Inquisition in 1536 in order to return to Judaism. Most had been cut off from the Hebrew language and Jewish life since the forced conversion in Portugal in 1497. Over the next three centuries, with the centre of Jewish printing shifting to Amsterdam, and a constant stream of new Jews fleeing Iberia for the tolerant North, this version continued to provide an accessible translation for both men and women and formed the basis of dozens of subsequent versions each of which attempted, in different ways, to help the worshipper in following the prayers of the synagogue and private rituals as easily as possible, even including transliterations of portions of the Hebrew (in themselves an interesting linguistic study). Evidently the literary prestige of the Spanish language and a cultural nostalgia for Sepharad had lent the Spanish text a certain sanctity of its own for the Portuguese-speaking Jews, and they continued to use the 16th century Spanish version despite the fact that the vocabulary, style and pronunciation became increasingly antiquated. 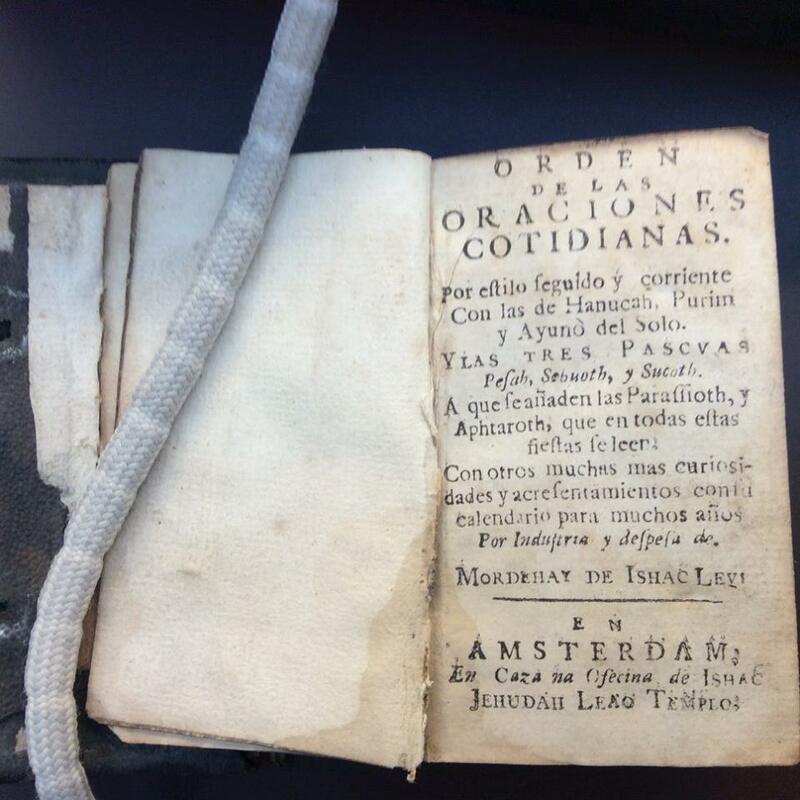 Although the Jews were not officially readmitted into England until after the 1656 mission of R. Menasseh ben Israel to Oliver Cromwell, a first copy of this Spanish liturgy – a neat, little 32mo of Menasseh ben Israel’s own 1636 edition – found its way to Oxford shortly thereafter, for, judging from John Selden’s motto ‘περὶ παντὸς τὴν ἐλευθερίαν’ (“above all liberty”) written across the title page, this copy must have been among Selden’s books donated to the Bodleian in 1659. 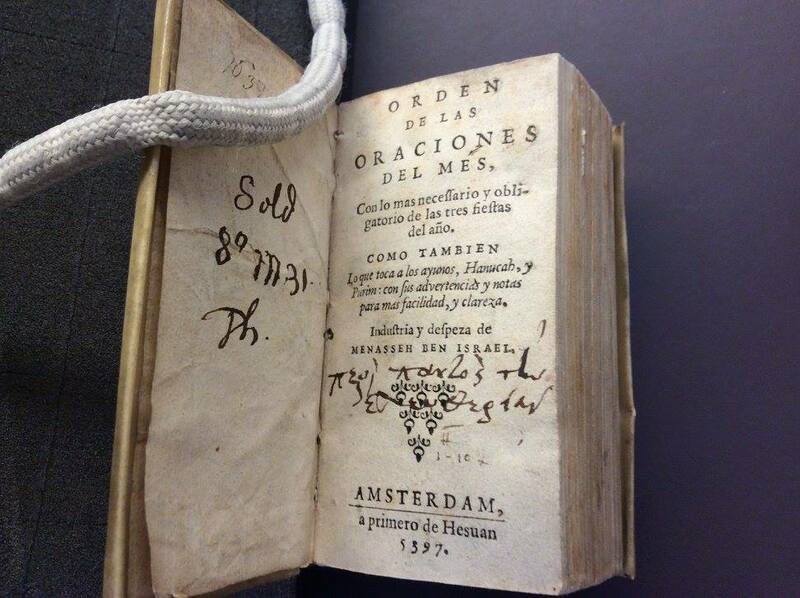 An incentive to Haham Nieto’s translation may well have been an illicit and unauthorised publication of the Prayer Book in London nineteen years earlier by a certain Joseph Messias of whom little is known beyond the fact that he had been on the list of destitute Jews receiving charitable assistance in Amsterdam and was sent out of the way to Dublin a few years previously in 1712-13. 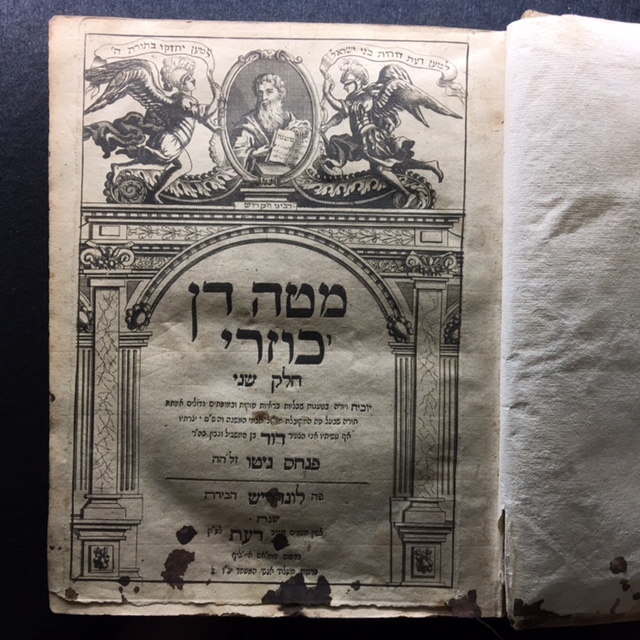 As the publication of any book on any subject by a member of the community required the imprimatur of the Mahamad, the ruling committee of oligarchs of the synagogue, and as Messias had not requested this, the publication was repressed and only one copy of the print run is known to have survived. 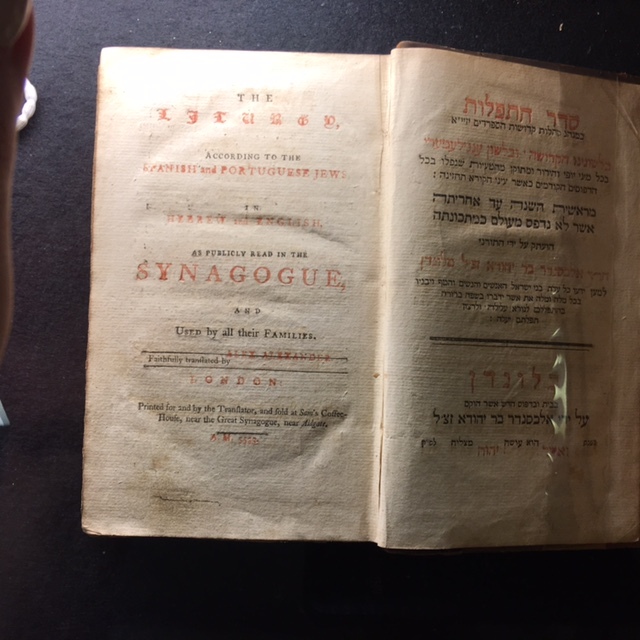 In 1951 the purchase of this Prayer Book for Bevis Marks Synagogue was organised by the Honourable Archivist Richard Barnett, at the time Keeper in the Department of Western Asiatic Antiquities at the British Museum, on the occasion of the synagogues 250th anniversary. 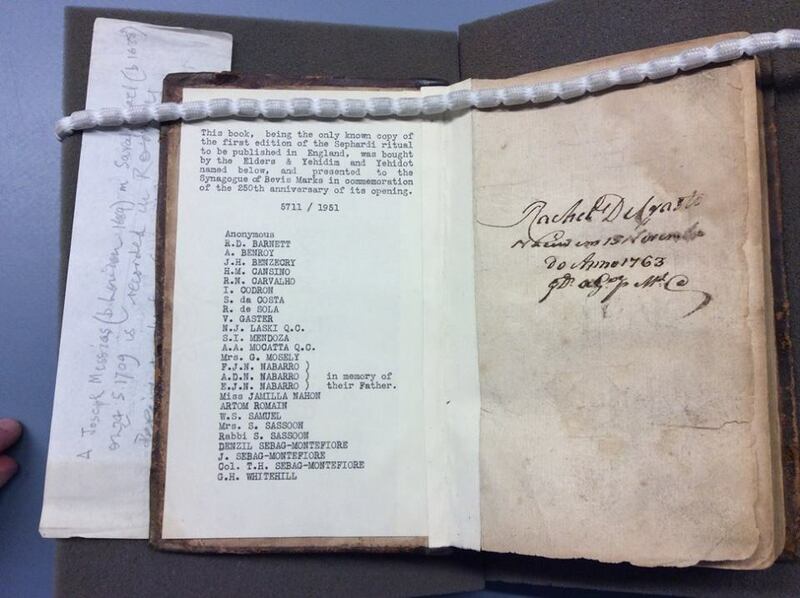 This has now passed to the Leopold Müller Library as part of the Weiss Sephardi Collection – a truly unique addition to a fascinating collection at Oxford. I am much indebted to the archivist Mr Ton Tielen in the Netherlands for unearthing this revealing snippet of information from the records of the Amsterdam community. 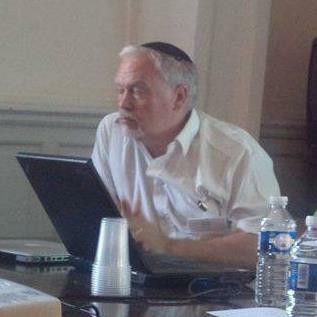 Aron Sterk did his doctorate in Jewish Studies at Manchester University. From October this year he will be based at the University of Lincoln for a project in association with the Royal Society and the Science Museum researching the life and work of the 18th century Jewish naturalist and secretary of the Royal Society Emanuel Mendes da Costa. While doing background research on a manuscript English translation of the Spanish and Portuguese Prayer Book in the Gaster collection of the John Rylands Library of Manchester University he had occasion to check out the holdings of the Bodleian Library and the Leopold Muller Memorial library in its lovely new building. 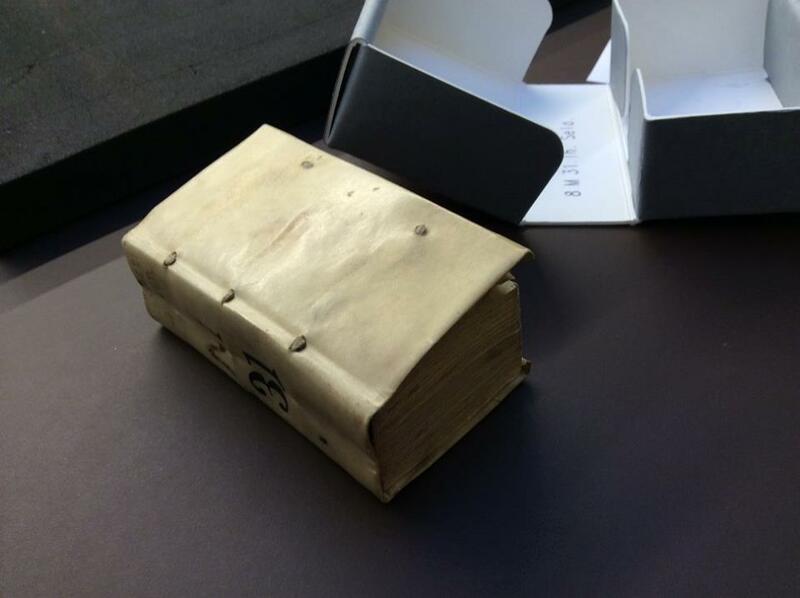 For further details of the Rylands manuscript see the John Rylands Institute Conference. This entry was posted in Guest Blogs, Jewish Liturgy, Ladino, Prayer Books and tagged Ladino, Ladino Prayer Books, Liturgy on 21 June 2016 by zeidlerm.